The 2019 PGA Tour is the 104th season of the PGA Tour, and the 52nd since separating from the PGA of America. The season began on October 4, 2018. The schedule contains 46 events, two fewer than the previous season. The schedule was shortened in an effort to complete the FedEx Cup Playoffs by the end of August. As announced in 2017, the PGA Championship was moved from August to May on the weekend before Memorial Day, starting in 2019. The PGA of America cited the addition of golf to the Summer Olympics, as well as cooler weather enabling a wider array of options for host courses, as reasoning for the change. It was also believed that the PGA Tour wished to re-align its season so that the FedEx Cup Playoffs would not have to compete with the start of football season in late-August. Consequently, The Players Championship was moved from May back to March for the first time since 2006. On hiatus: The Houston Open and Greenbrier Classic are not included in the shortened season, but they return in autumn of 2019 as part of the 2020 PGA Tour schedule. New: Two new events were added to the schedule: the Rocket Mortgage Classic, played at Detroit Golf Club in Detroit, Michigan, and the 3M Open, played at the TPC Twin Cities in Blaine, Minnesota. Relocations: The WGC Invitational was relocated from Akron, Ohio to Memphis, Tennessee when FedEx took over sponsorship of the event. Firestone Country Club no longer hosts a PGA Tour event, but the Senior Players Championship is now contested there, with Bridgestone taking over as that event's title sponsor. Cancelled: The FedEx St. Jude Classic ceased now that the relocated WGC event, WGC-FedEx St. Jude Invitational, is played at the Classic's former location in Memphis. Quicken Loans National, played in the Washington, D.C. area, no longer appears on the PGA Tour schedule. The FedEx Cup playoff event, Dell Technologies Championship, has also been removed from the schedule with the number of playoff events reducing to three. The Northern Trust will now alternate between New Jersey, and Boston (the site of the Dell Technologies Championship). As well as changes to individual tournament prize funds, the FedEx Cup bonus money doubled to $70 million, with the FedEx Cup champion getting $15 million. The winner of the Tour Championship will be the FedEx Cup champion. The Tour Championship begins with each player having an adjusted score relative to par which relates to the amount of FedEx Cup points accumulated (previously the Tour Championship was structured similar to other tournaments, and awarded FedEx Cup points). In addition, the Wyndham Rewards Top 10 is introduced, a $10 million bonus to be divided among the FedEx Cup top 10 regular season finishers. The tour also introduced the Aon Risk Reward Challenge. In most tournaments, a single hole is allocated to contribute to the challenge. A player's best two scores from every participating event a player competes in throughout the season is used. The player with the lowest average to par score wins $1m. The initiative is replicated on the LPGA Tour. ^ Finished on Monday due to darkness. The following events do not carry FedEx Cup points or official money. 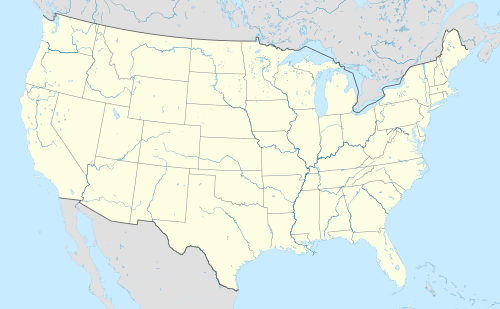 Location of official tournaments of the 2019 PGA Tour in the continental United States and Canada. 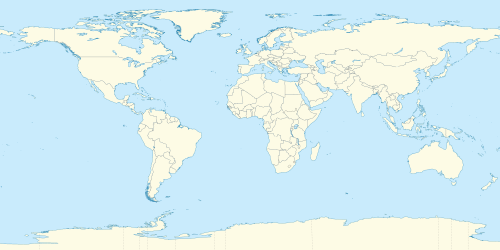 Location of official tournaments of the 2019 PGA Tour outside the continental United States and Canada. ^ The top 125 point scorers in the regular season retain their tour card for the following season, and qualify for The Northern Trust. The top 70 points scorers after The Northern Trust qualify for the BMW Championship. ^ The top 30 point scorers after the BMW Championship qualify for the Tour Championship. Each player begins with a score adjustment to par determined by their point ranking, the lowest scorers in the Tour Championship in addition to this adjustment win the FedEx Cup. ^ In addition to tournament prize money, the top ten regular season point scorers receive a share of a $10m bonus, and the $70m FedEx Cup bonus money is distributed based upon standings after the Tour Championship. ^ "2018-19 PGA Tour golf schedule sees major changes, including big events being moved". CBS Sports. July 10, 2018. ^ "Senior Players Champ. replacing WGC at Firestone". Golf Channel. April 12, 2018. ^ "The Northern Trust to call New York/New Jersey home in 2019, Boston home in 2020". PGA Tour. July 10, 2018. Retrieved December 20, 2018. ^ "FedEx Cup Purse Rises to $70 Million, Winner to Take Home $15 Million". Sports Illustrated. September 18, 2018. Retrieved February 4, 2019. ^ "Understand the risk. Realise the reward". Aon. Retrieved March 20, 2019. ^ "PGA Tour unveils significantly revamped 2018-19 Season schedule". PGA Tour. July 10, 2018. ^ Murray, Ewan (November 22, 2018). "Woods v Mickelson is a $9m vulgar marketing exercise". The Guardian. Retrieved December 18, 2018. ^ "FedExCup Standings". PGA Tour. Retrieved February 24, 2019. ^ "Official Money". PGA Tour. Retrieved February 24, 2019.